Israel's national airline is El Al (www.elal.com), but other Israeli airlines include Arkia (www.arkia.com) and Israir (www.israir.co.il). Major airlines link Tel Aviv's Ben Gurion Airport to many world cities. Apart from El Al, airlines operating direct flights from the UK to Israel include British Airways (www.ba.com) and easyJet (www.easyjet.com). Delta (www.delta.com) and United (www.united.com) fly direct from the USA. The major airport is: Tel Aviv Ben Gurion International Airport. El Al does not offer flights departing or arriving in Tel Aviv during Shabbat (Friday evening and Saturday). Tel Aviv Ben Gurion International Airport is located 20km (12 miles) southeast of Tel Aviv and 50km (31 miles) west of Jerusalem. The airport is in the centre of the city. 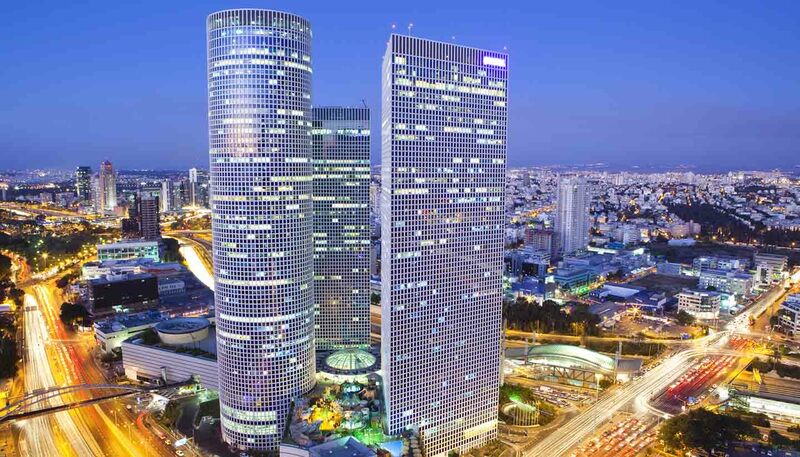 To Tel Aviv: from London - 4 hours 55 minutes; New York - 10 hours 20 minutes. Included in the price of an airline ticket. An exit fee is charged at road border crossings. Despite having borders with Syria, Lebanon, Jordan, Egypt and the Palestinian Territories of Gaza and the West Bank, it is only possible to cross into Israel from Jordan, Egypt and the West Bank. Crossing overland into Israel from Jordan and Egypt is fairly straightforward. 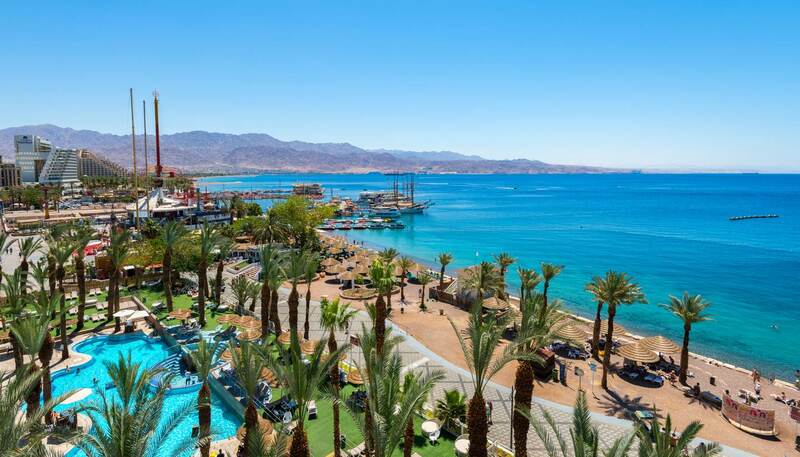 Egypt: Israel and Egypt have a border crossing linking Eilat with Taba, Egypt. Please note that the Taba border crossing is closed on Yom Kippur. Jordan: Jordan and Israel share three border crossings – the Yitzhak Rabin/Wadi Araba Border Crossing near Eilat, the Allenby Border Crossing/King Hussein Bridge near Jerusalem and the Jordan River Crossing/ Sheikh Hussein Crossing in the Galilee. Note all three are closed on Yom Kippur while the Sheikh Hussein Crossing and Wadi Araba Crossing are both closed for the Muslim New Year. King Hussein Bridge remains open on the Muslim New Year, however. For more information and operating hours of Israel's border crossings, visit www.iaa.gov.il/en-US/borders/. Israel's maritime passenger industry is rather limited. Private vessels arriving in Israel can use one of many marinas, the largest being in Haifa and Ashdod. 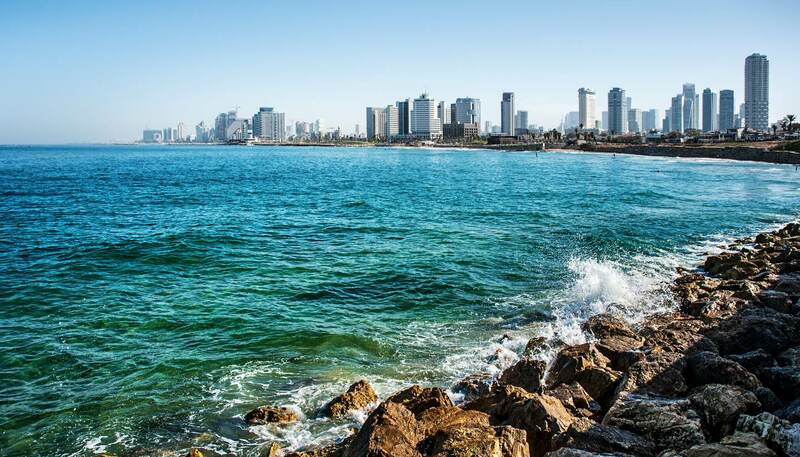 Others include Eilat, Ashkelon, Herzliya and Tel Aviv.